A rejuvenated Gold Coast United are looking near and far for talent. The ‘re-born’ United are attracting players to their ranks from all parts of the state, inter-state and abroad and have turned their eyes towards some of our nearest neighbors in search of the best talent. With clear aims to reinvigorate elite football delivery on the Gold Coast with quality pathways for talented local players, United are also keen to forge links with the vast footballing hot-bed which is Asia. Australia was admitted into the Asian Confederation in 2005 and the Club too has begun casting its eyes north west. Men’s Head Coach, Sean Lane, is excited by the opportunities that may arise. Lane has established a relationship with fellow Brit, James McAloon, who runs an Academy in Vietnam not only for locals but for internationals too. “Surprisingly one of the issues faced in certain Asian countries is a lack of opportunity. The league in places like Vietnam is small, facilities aren’t great, there’s not a lot of teams & not a lot of money. 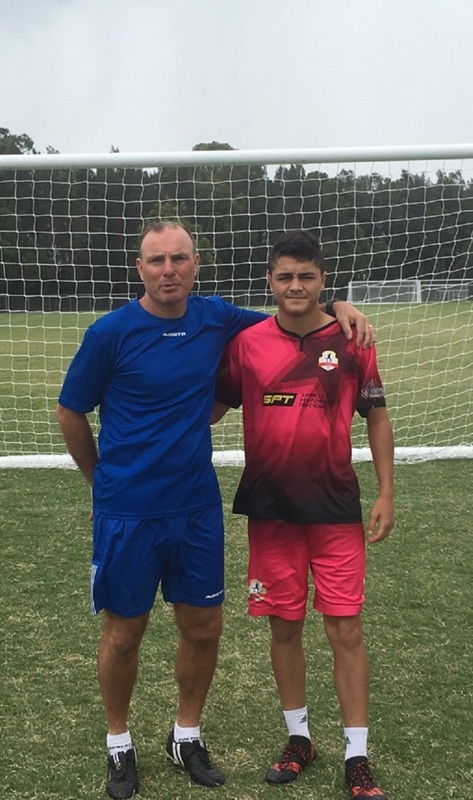 Recently young Englishman, Dominic Bendall-Court, became the first player from McAloon’s Rising Star Academy Vietnam, to attend training with Gold Coast United. Bendall-Court, from Telford, embarked on his Asian adventure to expand his chances of playing football at the highest possible level. While down-under Bendall Court also trained with Pascoe Vale in Victoria and according to Lane, “it’s been a real eye-opener for him. Pascoe Vale liked what they saw and were prepared to take him on in their U20’s. And for Dominic he now knows what he needs to work on to take it up a notch. “I’m looking to come back to Australia in the next 6-7 months or so. In that time I need to progress my football.